Also, let me see if I have this right. 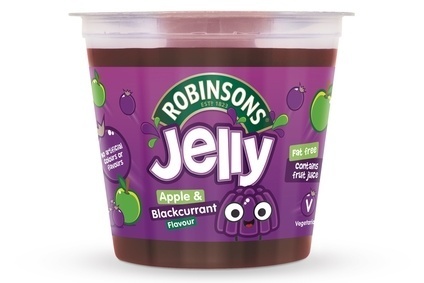 What we in the US call 'jelly' is 'jam' in the UK, while UK 'jelly' is our 'gelatine'. I don't know if there's a particular term for 'jam' in British English -- the difference between (USian) jelly, jam and preserves being that jelly is made with fruit juice, jam with fruit pulp, and preserves with actual chunks of fruit included. in the uk this is what people think when you say jelly. which is basically fruit flavored gelatine. You can get it ready made or make it up yourself to set. And jam is preserves, like here. this is why when we make a peanut butter and jelly sandwich here, its jam we use. You are not allowed to view links. Register or Login ... alas ... food section acquired eventually by Smuckers. This was a big part of my California childhood. My grandmother loved it, particularly their fried chicken (my grandfather hated all chicken). No admission charge until 1968, so we went there much more often than Disneyland. 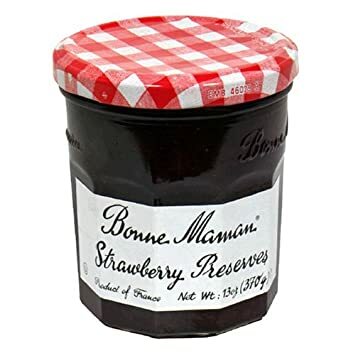 Best jam I've tried is this. Sells on amazon.com for $27, but I get it here in tescos for like £3. As for marmite, my half american half Swedish friend was curious about marmite, so sent him a pot for christmas one year. He said he was awful, and that veggiemite was better. our friendship survived despite this. I am currently on a You are not allowed to view links. Register or Login for the last 3 months to control my blood glucose. Lost 4 lbs already. Average blood glucose is 7. 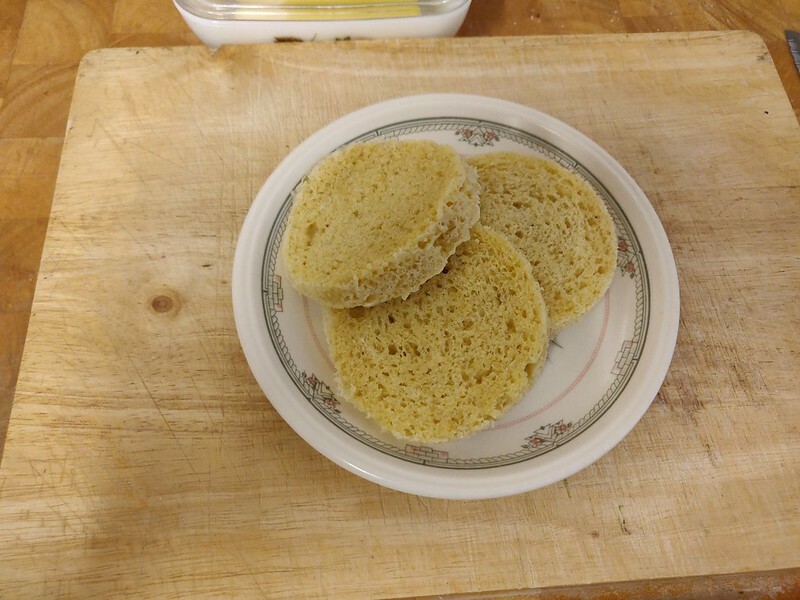 Here is a recipe for Keto bread for diabetes, no carb. OK, I just HAD to look it up. I realized I didn't know the difference between jams and preserves. In jelly, the fruit comes in the form of fruit juice. In jam, the fruit comes in the form of fruit pulp or crushed fruit (and is less stiff than jelly as a result). In preserves, the fruit comes in the form of chunks in a syrup or a jam. So, to my relief, there isn't much difference between jams and preserves. But I bet someone can make a good issue about it, LOL! 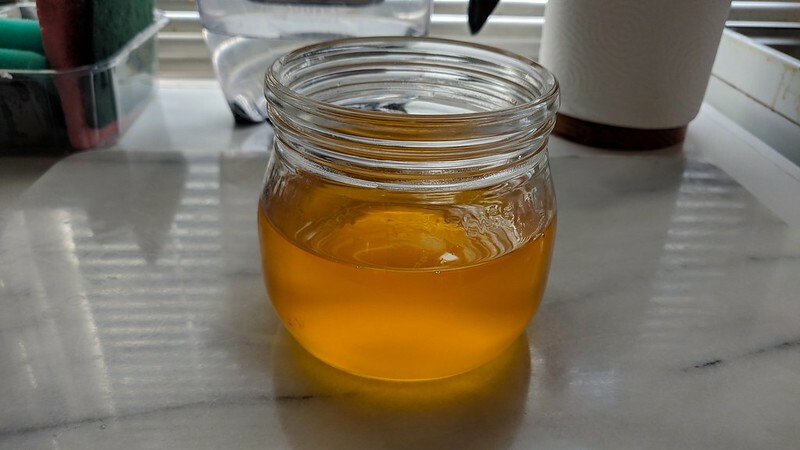 Homemade ghee from 500 gr Irish Kerrygold butter for cooking. I occasionally see a stray jar of Vegemite or Marmite lurking in the International aisle, and I am occasionally tempted to try it. The only thing I know about either is that if you put any more than a molecule-thick layer on your toast, you've probably put on too much. Sir Terry Pratchett, on being told about the theory that the universe is a computer simulation: "If we all get out and in again, would it start to work properly this time?" marmite is like poison. If you start out young eating it, your build an immunity to the effects while your still young and your body adapts to the taste until you can eat it like any other condiment. If you try it when your an adult without building that immunity, your in for a world of hurt.. from the tongue bleaching. Marmite is made from the corpses of wee yeastie beasties. So basically eating dead stuff. Anything we eat is counted as eating dead stuff. So, was that salt alive once? LOL! can you live off a diet of salt? Can't live without it. The point was ... to trigger the vegan gag reflex. Since that didn't happen, I want y'all to put your finger down your throat, while kissing a taxidermist. You said "Anything we eat is counted as eating dead stuff". Salt is not "dead stuff". LOL!